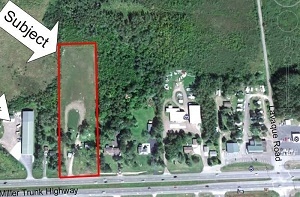 Description: Nice 5+ acre development location on the Miller Trunk Highway in Hermantown. Property has 233′ of frontage – great location for small professional or retail building. Just west of Lavaque Road.